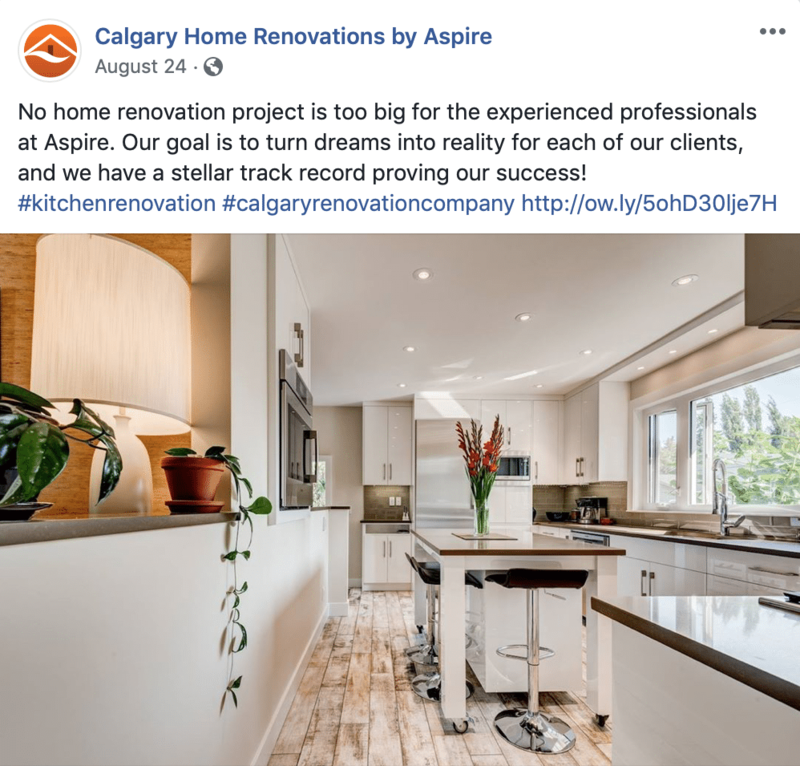 Aspire Home Renovations is a renovation company in Calgary specializing in kitchens, bathrooms, basements, secondary suite additions, and complete home renovations. Aspire is the best at modernizing and multiplying the space in your home, and they have the experience and pictures to prove it. 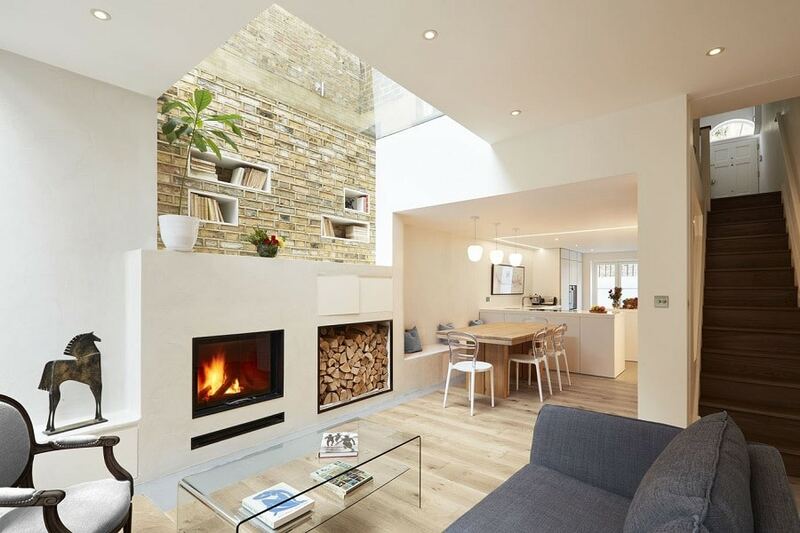 In addition to renovations, Aspire also build custom homes, putting your dream home within reach. 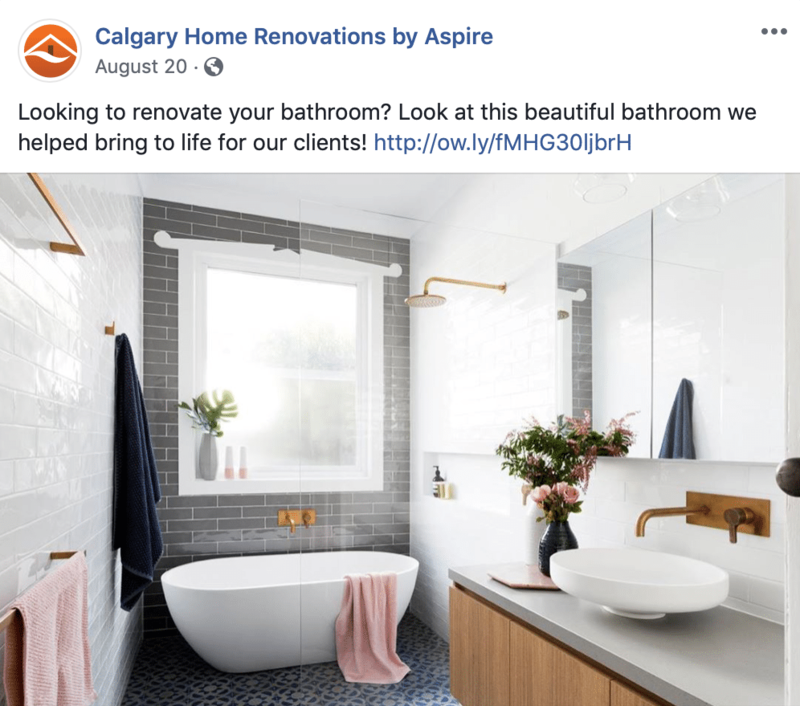 Their gallery stands as a testament to their work, but without a distinctive online presence, Aspire was having a hard time accumulating leads. 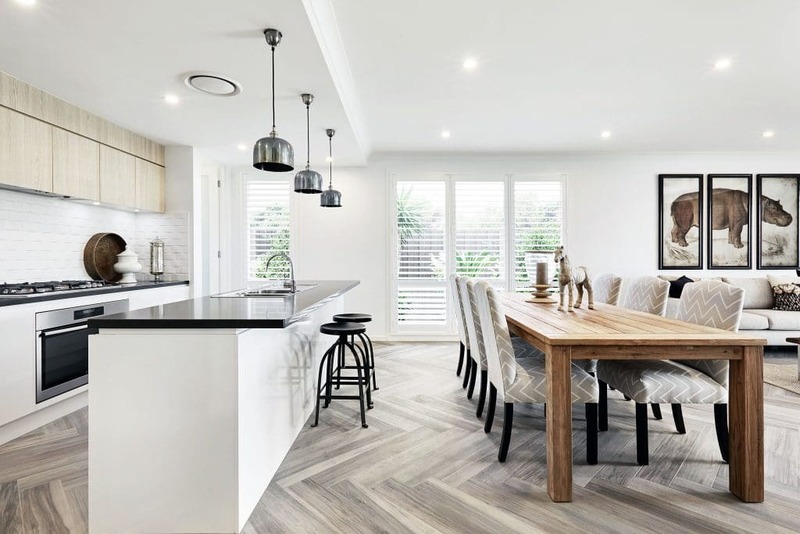 Their old site focused more on roofing and custom homes; our job was to orchestrate the project in a new direction, giving more exposure to their other services. Working together, we helped Aspire to reach their goals of increased lead generation and a more cohesive and appealing website. 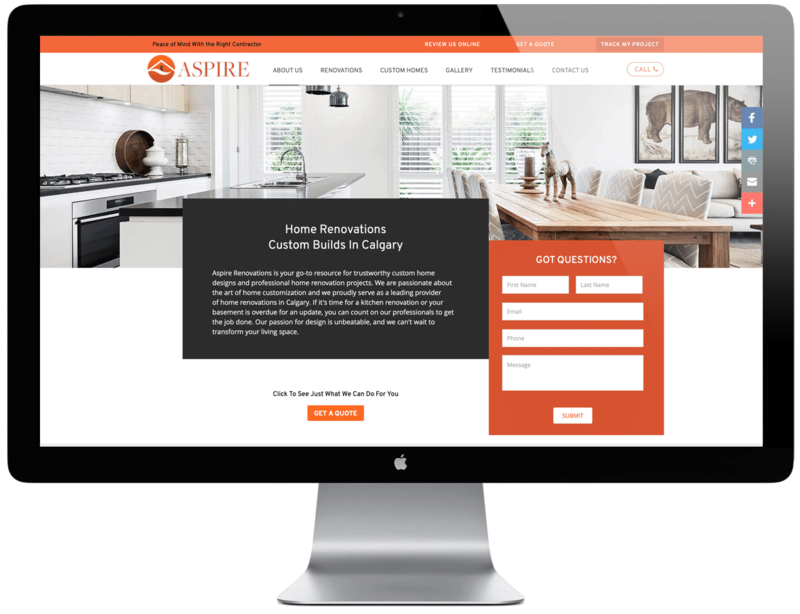 #1 rank for "home renovations Calgary"
We did a comprehensive website redesign for Aspire Home Renovations to include everything that was missing from their old site. With the main intent to drive leads and improve customer experience, the redesign project included the addition of an easy-to-navigate site menu, optimized landing pages and a beautiful project gallery of their past work. Not only is the website responsive on all devices, but it is also high performing and has become one of the company’s most vital assets. Bright, modern, and ultra-intuitive, the site reflects the type and quality of work performed by Aspire. Customers are attracted to the new Aspire website because of the aesthetic design and the intuitive navigation. The site makes it easy to book a free consult, explore the project gallery, and read customer testimonials. 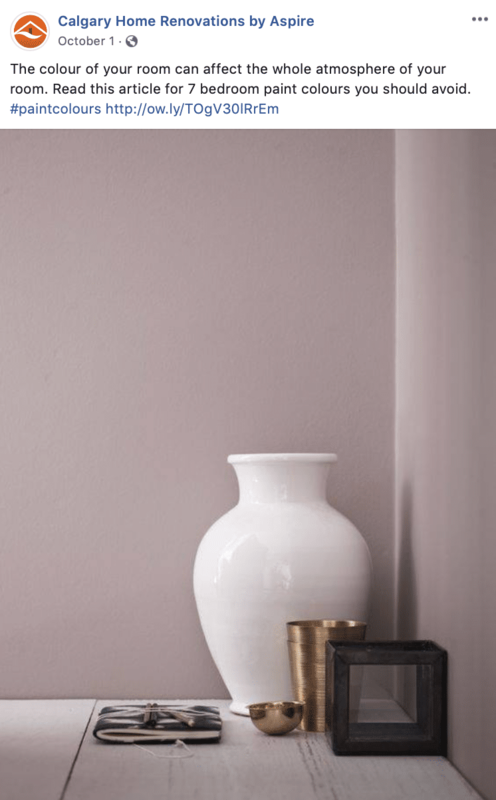 Our designers worked with the needs of the specific clientele in mind, ensuring the site is progressive, flexible, and responsive on all platforms. The improvements to the user experience are reflected in the increase of leads and website traffic. Before coming to us, Aspire did not have much in the way of an online presence; their visibility and leads were lacking, and their primary goal in coming to GrowME was to achieve first page rankings on Google. We are proud to say that through our efforts, Aspire consistently ranks in the top three positions for their main keyword, both organically and through paid listings. They are also in the top three for map results. We utilize SEO best practices through on-page and back-end optimizations, optimized landing pages and effective inbound and outbound links. Our SEO efforts are supported by the work we do with social media marketing. We make weekly posts on platforms such as Facebook, LinkedIn, Google and Twitter. We drive leads back to the website by promoting the company’s products and services and sharing industry related articles. 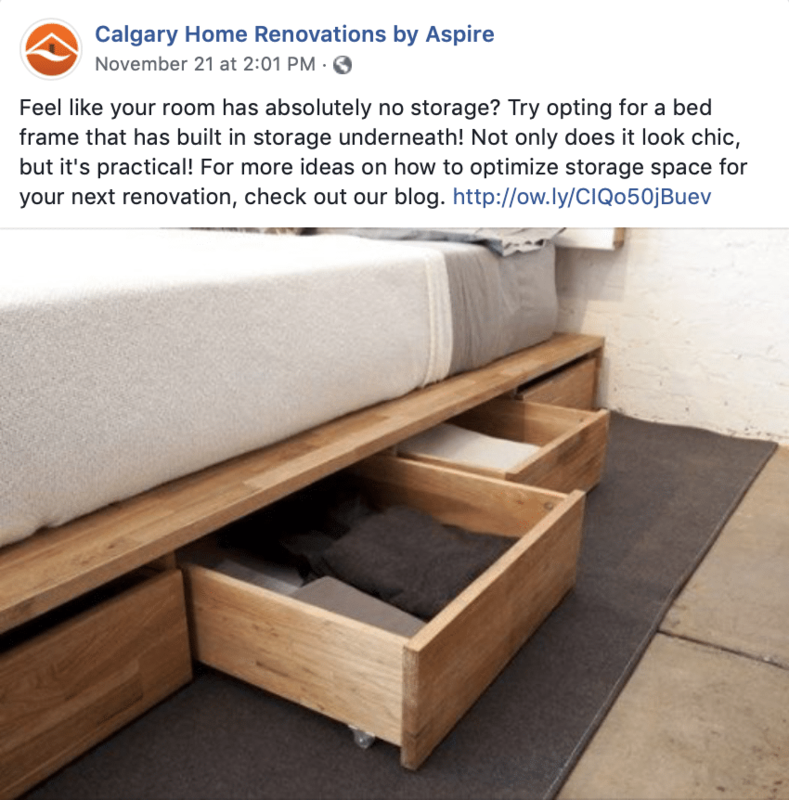 We foster connections between Aspire and their customers through interactive and engaging posts, offering helpful tips, and sharing community events.